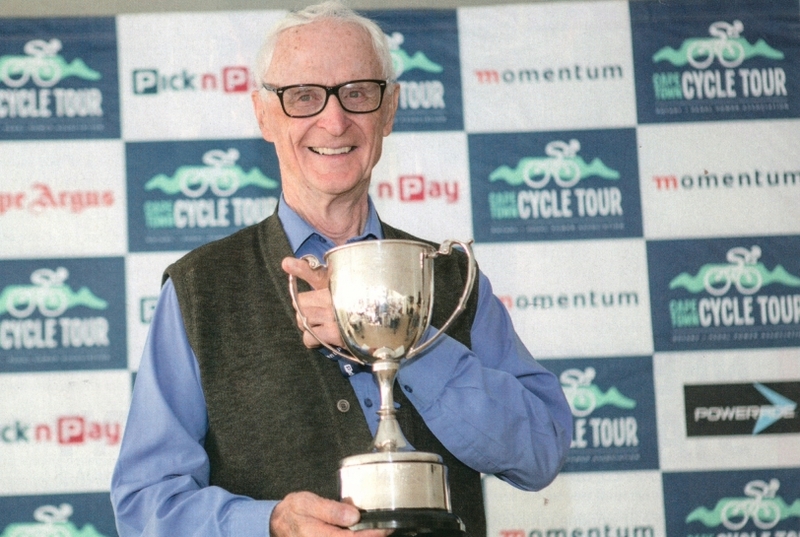 At 87-years-old, there’s no stopping Eddie Thomlinson from enjoying the Cape Town Cycle Tour. Enjoy this article on Eddie as taken from the 2018 Cape Town Cycle Tour Magazine. And I have my special genes, from my mother, my father, and this Jean [his wife of 65 years] right next to me!